Richard Smalley spoke these words on 1999 June 22th in a seminar on nanotechnology at Rice University, in which he showed the potential of this new field of research. The term nanotechnology was first introduced during the famous lecture entitled “There's Plenty of Room at the Bottom,” by the physicist Richard Feynman held in 1959 in which he considered the possibility to manipulate individual atoms through an organic synthesis more effectively than the methods used up to that point. So, nanotechnology was discovered recently in the world of science but in nature there are lot of nano-products: volcanoes for example produces nanoparticles, geko's feet have nanostructures that allow them to climb walls as do the leaves of lotus which are highly water repellent. Matter changes properties gradually, in other words at the nanoscale and this is how we can create new materials and new technological devices. Without realising it, the master glassmaker of the medieval time used these properties. They could stain red glass windows using gold which is yellow. Today is a different story: we can now control the matter at the nanoscale which is why we call them nanotechnologies. We can make carbon nanotubes that are a million times smaller than the head of a pin and hundred times stronger than steel. Actually, nanotechnology is already a part of our life. It is used to make lots of different things: sun creams, hard disks, medicines and even socks that don't smell. In the world of nanometric carbon the story begins in 1985, when, in his laboratory at Rice University in Houston, Rick Smalley was working on an experiment on carbon aggregates, small particles made by a handful of atoms. He had surely many thoughts on his mind, but he certainly had no idea that he was going to make one of the most fascinating discoveries of the twentieth century; a discovery that ten years later earned him the Nobel Prize for Chemistry. A discovery that would open the way for what we now call nanotechnology. It was the fullerene, aggregate made of 60 carbon atoms with a weird shape, halfway between the flexible macroscopic world and the rigid quantum world. Knowledge advances laboriously, bit by bit, like a mountain stream making its way among the rocks, so its beauty and contribution to humanity can be appreciated only on the long term. But sometimes the stream leaps and forms a beautiful waterfall, and we stop, look, take pictures. Sometimes a scientific discovery can be elegant, beautiful. During the synthesis of fullerenes in 1991, Iijima, observed the presence of secondary products. 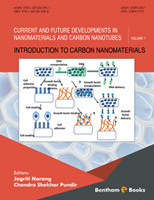 These derivatives, the carbon nano tubes (CNT), are considered allotropic forms of carbon and have found significant use in the field of materials thanks to their mechanical and electronic properties but also in the biological field for their ability to easily cross the cell membrane in accordance with a mechanism not yet perfectly identified and act as nano-syringe for the introduction of therapeutic molecules, drugs, proteins, genes and antigens within cells. Again, prophetic words by Richard Smaley. Carbon nanotubes are nanometric particles capable of combining with various materials giving molecularly doped materials with enhanced physical, mechanical and conductive properties. The fact that nanotubes solely consist of carbon atoms bonded together to form a rigid structure gives the material excellent physical and mechanical properties: the bond between carbon atoms is the most strong link and, consequently, a suitable structure containing this kind of bonds acquires a very high resistance to deformations. A synthetic fiber formed from carbon nanotubes would be the most resistant ever made: it was calculated that a nanotube would have a specific tensile strength at least 100 times greater than steel. It 'should also be noted that the nanotubes also show a considerable flexibility, being able to be folded up to about 90 ° without breakage or damage. Depending on the type of nanotube (chiral, zigzag, armchair) its electronic structure gives particular conductive properties that can also be transferred to the material that will accommodate these nanoparticles inserted in an appropriate manner. The main obstacle linked to the CNT is their insolubility and for any application is required a chemical functionalization with the aim of making them soluble in common organic solvents. In addition to the achievement of a soluble product, it is important to also use nanotubes with a high degree of purity to limit the toxicity, incompatibility with the intrinsic biological systems to impurities. The following chapters represent the state of the art on CNT, starting from their synthesis functionalisation and purification to their physico-chemical properties as well as electrical, optical, mechanical and thermal properties. Applications are also extensively presented and critically discussed in the fields of sensing, biosensing and biomedicine. The proposed book focuses on the new technologies that are to introduce carbon nanotubes and the methods used to prepare carbon nanotubes are also discussed in detail. This field is very progressing at exponential rate, with a wide variety of research articles and book chapters appearing in the literature every year. This book can be a great resource for budding nanotechnology researchers, undergraduates and post-graduates students who are interested to peruse science, and a career in carbon nanomaterials research. It is one of the most investigative material in the history of nanoscience and mainly responsible for current nanotechnology boom. This book also emphasizes the mechanism proposed for the development of carbon nanotubes. This book is also focused on the unique electrical, optical, mechanical, thermal and vibrational properties of carbon nanotubes. This book also discusses the property changes observed in CNTs due to their structural differences as in single walled and multiwalled CNTs. This book also discusses the methods for synthesis of such unique nano-composite structures. The various aspects of how and where these structures can be applied with enhanced properties are also discussed with evidences from published literatures. This book highlights the significance of CNTs as carrier for delivering wide variety of payloads including drugs, small organic molecules, oligonucleotides, proteins, siRNA, vaccines and nutrients. This book also emphasizes on effects of CNT on cell viability, proliferation, reactive oxygen species (ROS) producing ability, genotoxicity, extra cellular matrix remodelling/tissue remodelling and mutagenicity. Finally it is mentioned about the toxicological considerations of CNT and discusses different ways of minimizing the toxicity.